In our last entry we talked a bit about how important it is to stay ahead of the game when it comes to replacing your construction equipment and your commercial fleet. 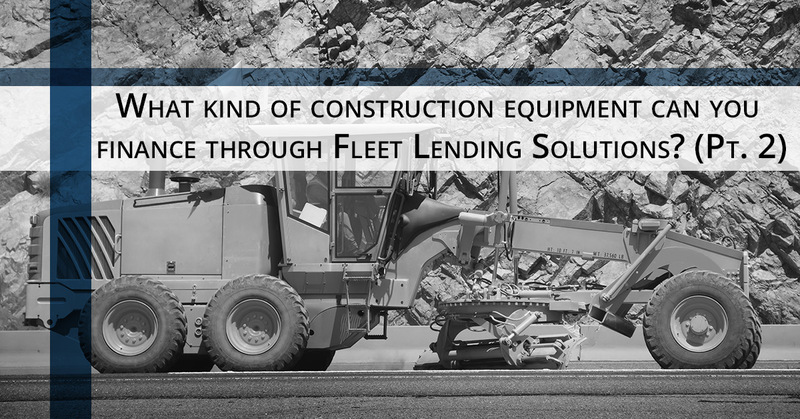 In today’s blog we will cover some other kinds of construction equipment that Fleet Lending Solutions can help you finance. Read on for more information or, if you’re ready to start the application process, call us today! 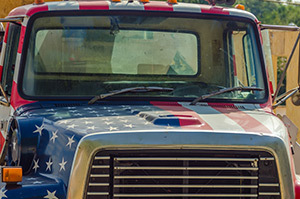 One of the most common types of commercial or construction equipment that we finance are trucks of all kinds. If you own a shipping fleet and need a couple new semi trucks financed, we might be able to help. If your construction firm needs a new dump truck or cement mixer, we can help with those, too. Basically, if it drives and you can use it to make money or it helps to build something, we can help you find financing for it. Check out some of the industries that we work with here to get a better idea of the scale of our operation. We take great pride in helping the people who work hard get the commercial equipment financing that they need. Semi truck financing can be an especially complicated matter sometimes because, in some ways, it makes more sense to hire drivers who own their own trucks to work for you, but there are a lot of pitfalls that you could find yourself dealing with, for example: truck owners who don’t take care of their semis with the same attention to detail that you do can mean that you have angry clients who won’t choose to work with you again if there was a late delivery thanks to a truck that broke down due to lack of proper maintenance. Hiring semi owners also means that you have to pay them at a higher rate than if you just hired drivers. If you have your own fleet of trucks, you can make sure that all needed maintenance is done by your books and not someone else’s. This also helps to present your brand in a way that is easier to control. Not only do you have the opportunity to add graphics and logos to your trucks and trailers if you own the fleet, you can also be incredibly selective about the drivers that you hire. You can even require them to go through extra training and screening to make sure that they’ll do things the way you want them done. We know how necessary it is to have everything you need in order to keep your team working as efficiently as possible. This is especially true if you are trying to expand your business and be able to work on either larger-scale projects or more than one project at a time. 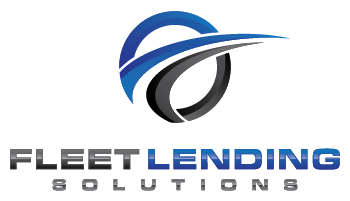 Let us help you make your dreams of growth a reality by financing a new commercial vehicle through Fleet Lending Solutions. We have the knowledge and experience in the construction industry to help you the right way, which isn’t always possible if you go through other lending companies. Contact us today!